The International Energy Agency stated in a special edition of its report that the "price" for delays in taking active measures against climate change by 2020 is 5 trillion dollars. The experts claim that adequate "rapid response" measures to reduce greenhouse gas emissions will not have negative consequences for the economy. 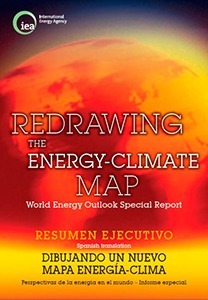 The authors of the special report, "Redrawing the energy-climate map", published in late June by the International Energy Agency (IEA) say that implementation of the currently planned measures to combat climate change will not limit global warming to two degrees. The special report was prepared and published because the situation is very serious: until 2015, no international climate documents will be signed, and the legal obligations arising from the agreement will take effect no earlier than 2020. Analysing the situation, the report highlights that the frequency and intensity of extreme weather events (heat, floods, etc.) will increase, and the global temperature and the ocean level will rise. The experts believe that emission reductions are "absolutely technically feasible", although extremely difficult. To achieve the objective, effective action shall be taken before 2020. According to experts, energy sector shall be the main area of the global climate actions, while it accounts for about two thirds of greenhouse gas emissions. The authors of the report suggest national governments to rely on a quick response. The IEA proposes four areas of energy policy that could help to reduce greenhouse gas emissions by 80 %. These actions should lead to changes sufficient to reach the level of 2 oC. In turn, this would give valuable time while international negotiations on climate issues continue before the conference in Paris (2015) and until the states take necessary decisions waiting for signing of a new international agreement. Experts suggest, as a rapid response, the actions which have been repeatedly proposed by representatives of non-governmental organizations in their positions on energy issues. Specific actions in the field of energy efficiency, limiting the construction and use of coal-fired power plants, reduction of methane emissions at oil and natural gas extraction, and gradual reduction of subsidies for fossil fuels shall be the main components of the new energy strategy. The proposed actions would allow 1.5 Gt emission reductions from the world energy sector by 2020. This is comparable to the current level of emissions in Russia. Additional investments in the energy sector will be more than offset by lower fuel costs. By the way, the amount of subsidies for fossil fuel consumption in 2011 amounted to 523 billion dollars, almost six times exceeding the support for development of renewable energy sources. The authors of the IEA report argue that the energy sector should be primarily interested in the above mentioned measures as extreme climatic events threaten power plants and networks, gas and oil pipelines and other infrastructure elements of the energy industry. There are also "low-intensity" processes of climate change, which also negatively influence the energy sector: the sea level rise endangers coastal energy infrastructures, shortage of water for power plants increases, demand for heating and cooling changes, etc. It is obvious that all the problems and measures enumerated by the experts are directly related to Russia, which has huge potential for reducing energy consumption in industrial production, the prospects for utilization of associated petroleum gas, and still makes the bet on fossil fuels. Russia does not yet participate in the IEA. However, Maria van der Hoeven, the Executive Director of the International Energy Agency, met Arkady Dvorkovich, the Russian Deputy Prime Minister, just a few days after the publication of the special report. According to media reports, they "discussed the issues of global energy security, as well as implementation of global initiatives in this area" at the meeting. Now, through the ongoing bilateral consultations, "co-operation will be intensified with a view to maximizing the contribution of the energy sector in the economic recovery and development, improving energy security in the world, as well as reducing the environmental impact caused by energy production and consumption." Will Russia have a new energy strategy?